Sevan Locks & Doors’ expert team of ignition repair locksmiths can repair or replace any type of ignition. Our ignition repair services are available the same day you call. Check out our online specials and give us a call at (206) 274-7061. Jammed Ignition? No Reason To Worry. When your ignition breaks or stops working properly, it can cause your entire day to come to an abrupt halt. Ignitions are one of the main components of a vehicle that turns the engine over and allows the car to start. The ignition system on your car has to work in order for the rest of the engine to run. Sometimes a bent key can actually be the problem and not the ignition itself, which is easily remedied with our car key replacement service. However, if it does turn out to be that you need ignition repair service, we can do that on the spot. Our ignition repair team is fully stocked and mobile in order to get your vehicle back in working order in no time. 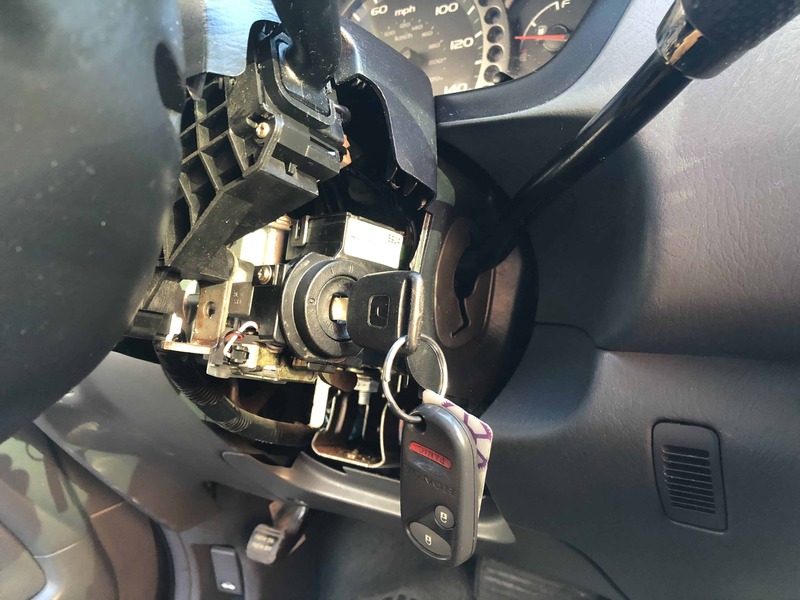 If you need ignition repair service, you need to make sure you’re calling a reputable local locksmith company that can get the job done right the first time. This is to ensure that should any problems arise in the future, you are able to contact the same company and have them fix any issues you are experiencing. Our licensed and bonded locksmith team is staffed by in-house employees. Since we’re located in Seattle, WA, you can rest assured that you’re in good hands anytime you call us. Sevan Locks & Doors provides written warranty for all the parts and services provided by our company. We offer ignition repair services 7 days a week because we understand that issues can arise anytime. We never charge extra for nights, weekends, or holidays. All of our services come with an extended warranty that will give you the peace of mind you need when you hire a locksmith. We want our customers to feel satisfied with the work that is performed. We constantly train our locksmiths on the most up-to-date techniques and procedures to provide you with the best service possible. Anytime you need ignition repair service, give Sevan Locks & Doors a call. We pride ourselves on our ability to always provide fast response times, low prices, and the best warranties around. Our ignition repair service will cost you less than half of what a dealership would charge. Call us today at (206)274-7061 to schedule an appointment, request same-day or emergency service, or to request a free quote.